If you are funding your care yourself we will provide you with an indication of costs at the time of your initial enquiry and then prepare a written contract once the individual care plan has been agreed. Payments are accepted by standing order, cheque or postal order. Personal budgets deliver the personalisation of care services by allocating a budget that you can control yourself. You can then decide how to spend this to meet your eligible care needs and agreed outcomes, in line with a personalised support plan. If your care is being provided through Social Services, you may be asked to contribute towards the cost. Arrangements for payment will be made via their finance department. Your social worker will be able to explain their charging policy and procedures. 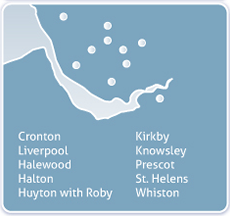 Victoria Community Care is also able to provide care via the Knowsley Voucher Scheme. 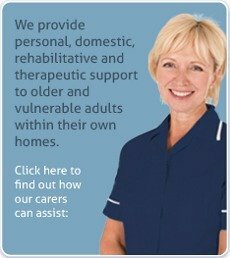 The Knowsley Voucher Scheme is funded by the Carers Grant. If you are a main carer for an adult and wish to take an occasional break from your caring role to enable you to have a few hours time out. You would receive an allocated number of vouchers which can then be used to purchase care. Each voucher represents l hour of care. With this option you have an account into which you receive your budget. You are then responsible for managing your carer as your employee. Direct Payments is a cash payment from Social Services which allows you to receive the money and pay for services yourself. You will need to open a separate bank account to receive direct payments and send in monthly bank statements from this account. You are then free to choose who you want to provide your care but it cannot be a relative or anybody who lives with you.